This cranberry butter jewel of a fruit spread is not really a butter (no dairy at all). And it is not really a curd (no eggs in here either) so it is tricky to figure out how to name it properly. Technically it might be a pureed jam. It is an elevated version of instant pot cranberry sauce with a richness and depth of texture and flavor. What ingredients are used to make cranberry butter? 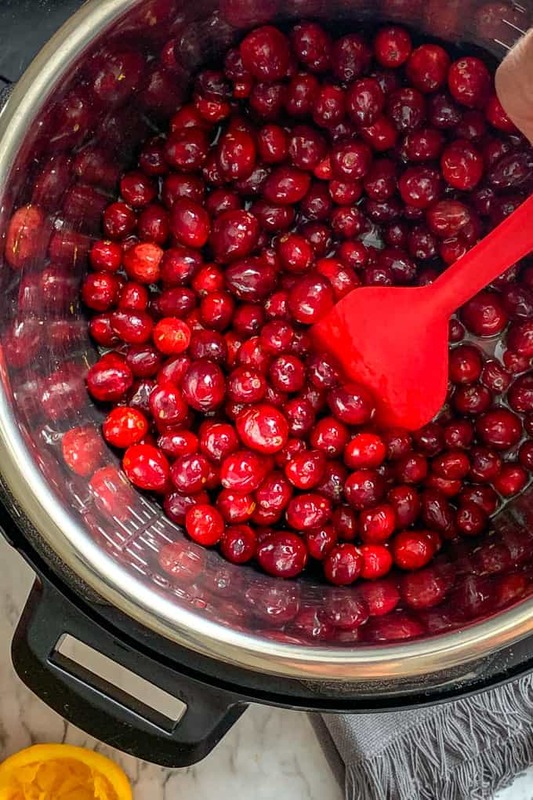 Simple ingredients of cranberries, sugar, and a small bit of liquid which in this case is fresh orange juice with a bit of added water all hang out together for ten minutes in a hot pressure bath called Instant Pot. Before you know it you have a beautiful cranberry creation that today we’re calling cranberry butter. Thirty minutes or less start to finish. You do have time to make this fresh cranberry butter. You might even save your not-so-moist turkey with this cranberry goodness! 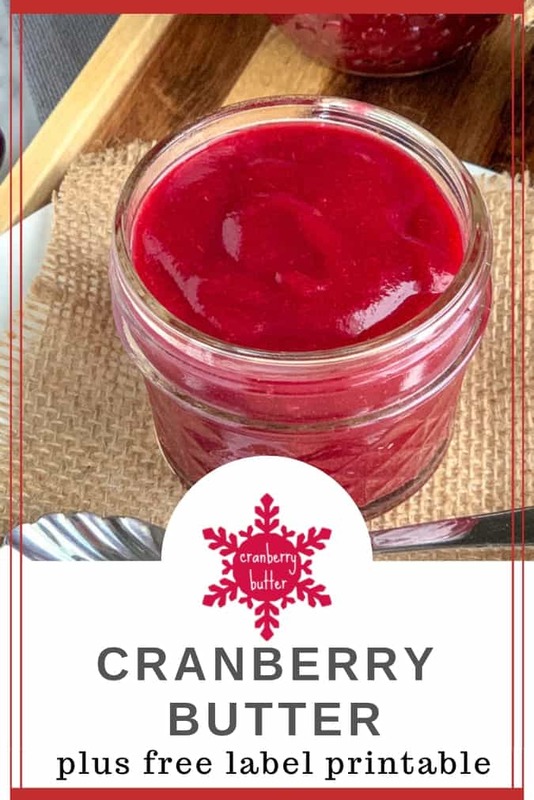 How do I make this Instant Pot cranberry sauce? Juice the oranges and add water up to the 1 cup level. Add the juice, water, brown sugar and cranberries into the Instant Pot. Transfer to a Vitamix and puree. Pour into jars and enjoy! 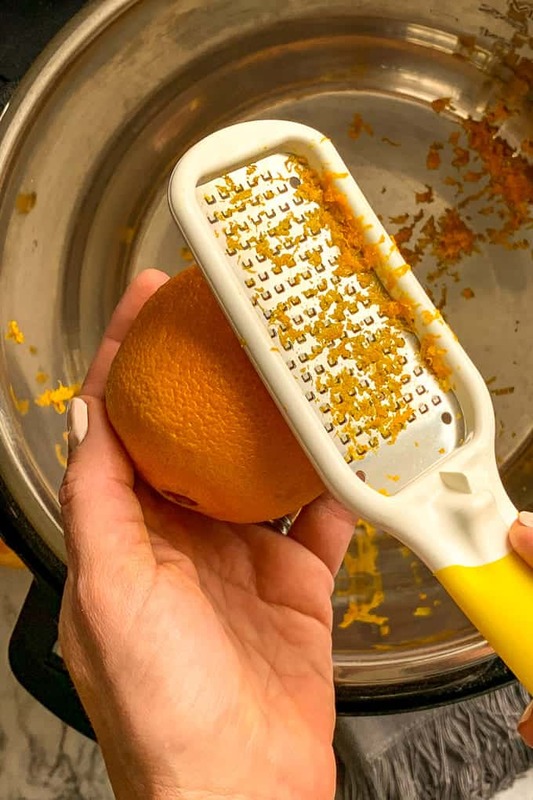 Use a microplane to zest the oranges. Two oranges is just right. I like to hold the microplane such that you can see the zest piling up on top. This is especially helpful in recipes where you are measuring how much zest you need to add (eg. 1 tablespoon). Here the more zest the better so zest away! Juice the oranges into a glass measuring cup. My two oranges produces about 1/2 cup of juice. No matter how much juice you squeeze out of your oranges, add enough water to reach the amount of one cup. 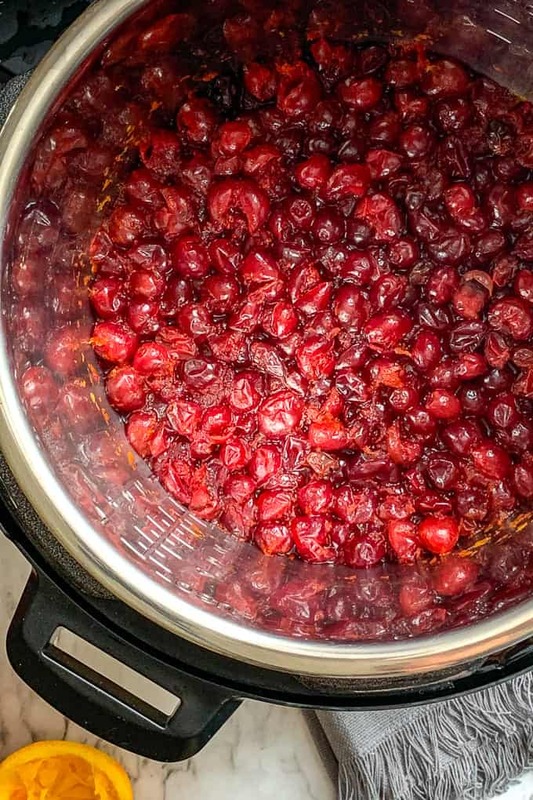 Add the juice, water, and 6 cups of cranberries into the Instant Pot. Stir to combine. Aren’t those fresh cranberries beautiful!! Cook on high pressure in the Instant Pot for 10 minutes. Wait another ten minutes then release the pressure on the Instant Pot. Puree in a Vitmix or other high speed blender to create a cranberry butter spread. 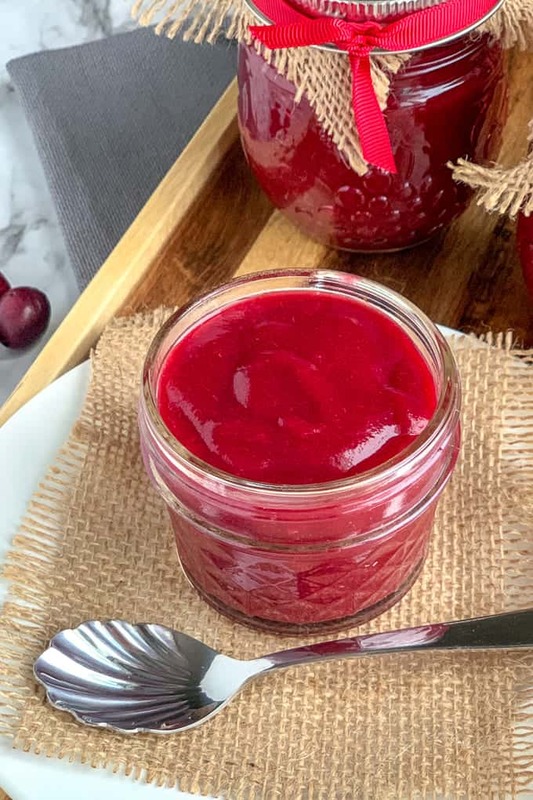 Pour into mason jars and store in the refrigerator until you are ready to enjoy this vibrant version of Vitamix cranberry sauce. 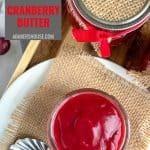 Add a label to your jar of cranberry butter! Did you know that I have a FREE Printables library? I love sharing labels that you can download and print yourself. When you are making jams, jellies, and marmalades, it is so nice to add a personal touch. Access is free to my email subscribers. Join the growing number of email subscribers by using the form below. 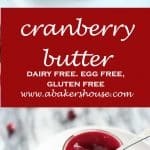 You’ll love this label for your homemade cranberry butter! How can I use cranberry butter? 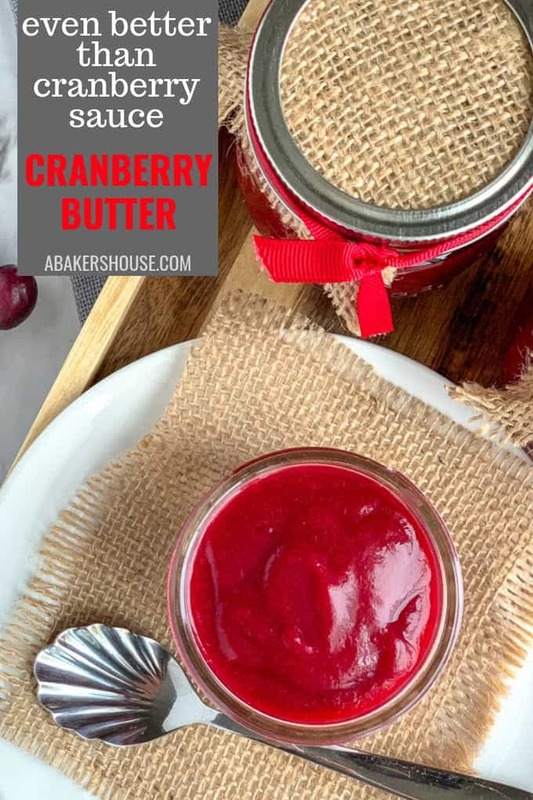 Cranberry butter is along the lines of an apple-pear butter or pumpkin butter. It’s just right for your holiday table. Try it this week for Thanksgiving and you’ll find ways to use it right through Christmastime. An alternative would be this Native American berry sauce called wojapi. Add it as a tart-fruit spread to your morning toast, or combine it with mayo for a flavorful aioli. Shake it into an oil and vinegar dressing for a salad, drizzle it over yogurt or ice cream, or jazz up your oatmeal. Use it in a drink to create a flavored tonic, serve it with a cheese platter or just eat it by the spoonful. So many choices. I think this cranberry fruit spread would be the perfect filling to use in Liz’z recipe for Cranberry Cheesecake Bars, don’t you? An oatmeal crust, a cheesecake filling, and a cranberry layer too! 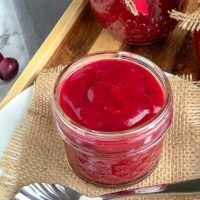 Cranberry butter is an elevated version of cranberry sauce with a richness and depth of texture and flavor. 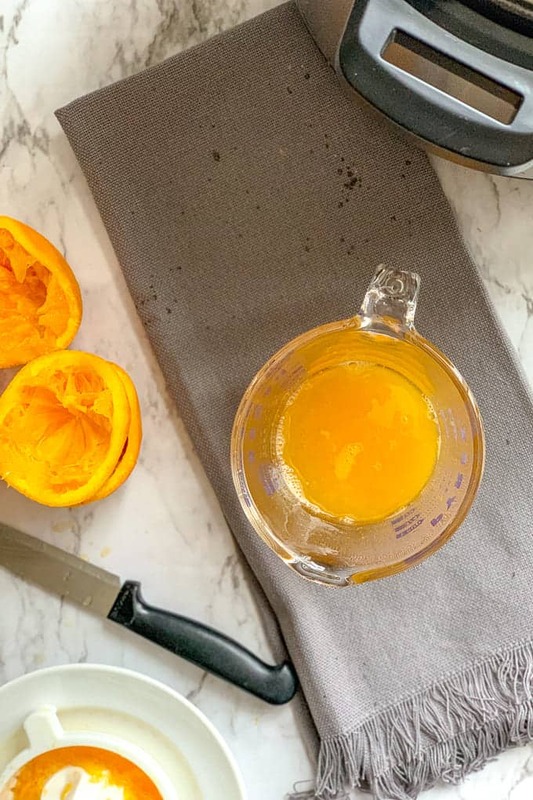 Zest the two oranges into the Instant Pot. Squeeze the juice of both oranges into a glass measuring cup. Mine produced about 2/3 cup of orange juice. Fill with water to reach 1 cup of liquid. (So if your oranges produce 1/2 cup of juice then you will need 1/2 cup water added). 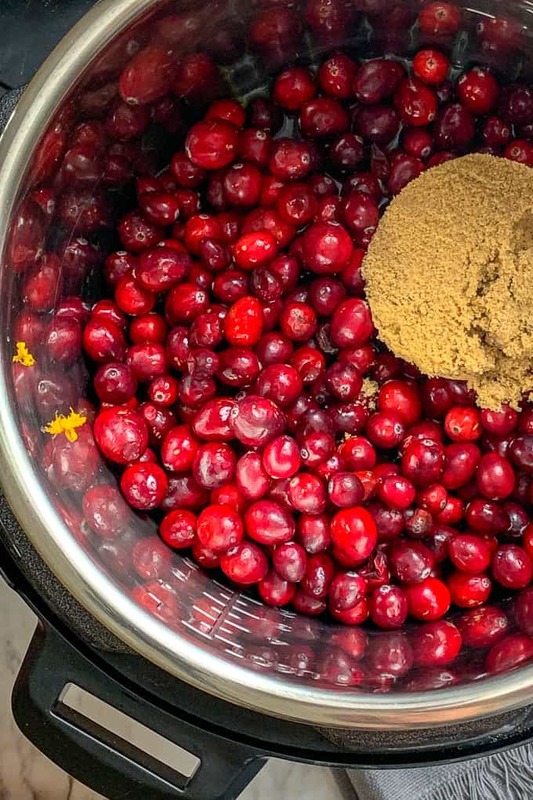 Pour the water, cranberries and the brown sugar into the Instant Pot. Stir together to mix. Set the Instant Pot to High Pressure for 10 minutes. Let the Instant Pot cool completely or after ten minutes use the quick release function to release the built up steam. Puree the cranberry-orange mixture in a Vitamix or other high speed blender. Pour into glass mason jars or other containers. Cool in the refrigerator until ready to serve. This cranberry butter will be tart. If you wish for a sweeter taste, increase the brown sugar to 1 cup. Please note that A Baker’s House, LLC uses affiliate links which means that I earn a commission if you use the links provided. This is at no additional cost to you. Thank you for your support of A Baker’s House. This post was updated November 2018. Fruit “butters” don’t contain dairy — they’re just a thick, cooked down puree that tend to have less sugar than jam, so this definitely qualifies as a butter. Thanks for the info on fruit “butters”. 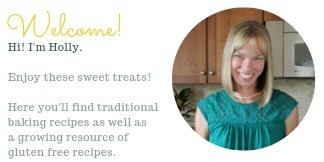 I love fruit butters of any kind and will have to think of the next flavor to make– mango and plum are on my mind now. Wow! This looks delicious. I would love it on my toast! That would be delicious! It’s also great with brie cheese as an appetizer. What a smart recipe! Love this idea and the color is amazing! Thanks! Cranberries are beautiful. I wished I used them more often throughout the year. This is a genius recipe — and I love your tips for using it — on everything from morning toast to a flavored aioli! Hello — that’s genius! 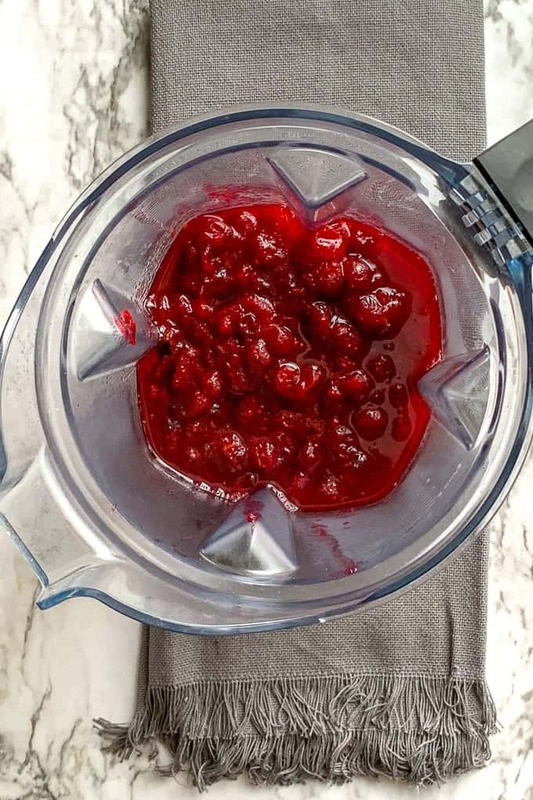 Thanks, so easy and fast and I never run out of ways to use this cranberry butter! I’m always looking for new ways to use cranberries and this sounds perfect! What a bonus that it all goes right in the Instant Pot! Thanks, yes I am always happy to use the Instant Pot. So fast and easy. This looks beautifully smooth and delicious. Perfect for serving up at Christmas, or even for giving as a gift! You are right, this would be a beautiful Christmas gift or a hostess gift. Presented along with a wheel of brie and fresh bread and you have a winner! I don’t have an Instant Pot! How long would you cook this on the stovetop? This sounds delicious and I’d love to try it. That is a great question! I’ll have to add this info into the post. I would suggest adding the juice and sugar first and bringing the mixture to a boil. Stir to help dissolve the sugar. Add the cranberries and return to a gentle boil for about 5 minutes. Stir frequently. The cranberries will pop and spatter a bit. Then puree. You could also use a slow cooker or crock pot. I’d estimate 4 hours in a crock pot with all ingredients added at once. That sounds really good. It must be a thicker consistency than this cranberry butter. I love that idea! Do you think these could be processed in a hot water canner to make it last on the shelf?